I was first in line to see it this morning. Initially, it looked like I would be the only one there, but thankfully a few more showed up. 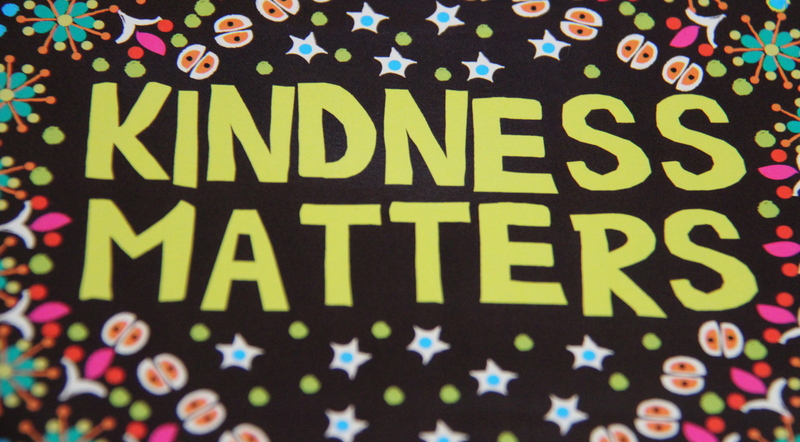 Kindness Matters! It’s just one of the take away messages of the movie, Bully. It is the message that the kids need to get and that some are getting as they join in the cause to help prevent bullying and to support the victims. There are more important messages for the adults! Blaming the victim for not telling you is not acceptable especially if you gave them empty promises of protection in the past while they continued to be tormented. Scolding them for not forgiving their tormentor is not helpful either. Apathetic attitudes regarding the severity of the problem are not helpful. Excusing meanness that does not result in bloody noses or broken bones is also inexcusable. We see teachers, parents, principals, vice principals, law enforcement, and bus drivers letting kids down again and again. One child takes matters into her own hands and threatens her tormentors with a real gun. FYI one boy had threatened to sexually assault this teenager, so it is not like she had not been threatened. I do not condone taking a gun to school, but I do understand why she did it, and I found the sheriff to be offensive when he said that she had no cause for this action because she had not been physically assaulted. He thinks she should be locked up for a hundred years despite the fact that the gun wasn’t fired, and she had never been in trouble previously. You’ll find out her fate if you watch the movie. I will be writing a longer review for Special-Ism for publication on the fourth of May, so I am not going to say more about the movie itself right now. I merely hope schools will encourage their staff and students to see the movie. It’s not in my local theaters. We would either have to go to a bigger city or wait for it on video to watch it, and I’m more of a video gal–I don’t tolerate the movie theater volumes very well. Otherwise, your point is well made. Looks like a movie I should watch, though I’m not sure if I could bear it. I took kleenex and I used them. Still, it is worth seeing and if those of us who really understand refuse to see it, what hope do we have of getting the ones who don’t understand into the theaters?